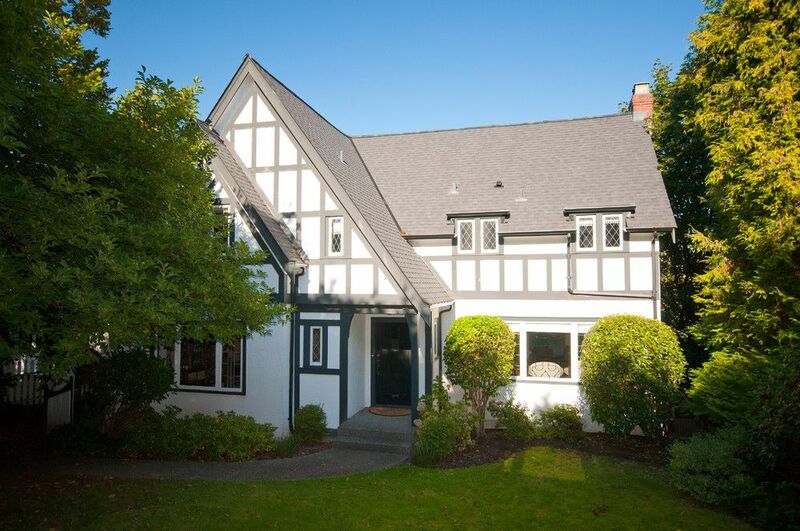 Gorgeous Traditional style home in Prime Point Grey location. Oak hardwood floors throughout all 3 levels. Spacious cross hall living and dining rooms with leaded glass French door and much of the original character from 1936 intact.Wood burning fireplace in living room and main floor den. Four bedrooms upstairs with master ensuite and walk in closet. Excellent lower level development with recreation room overlooking private back yard, bedroom and bath. Attached garage and a very large property (8981 sq. ft) with great Winter views from the main and upper floors. Close to West Point Grey Academy, Jules Quesnel, Lord Byng and OLPH schools.